What We're Reading: The Power of Habit | Transforming Leaders. Transforming Organizations. Producing Breakthrough Results. One of the things our team views as essential in furthering our knowledge and developing professionally is maintaining a habit of reading. That's why we've made it a quarterly organizational habit to pick a book that the whole team reads and discusses at our quarterly meetings. 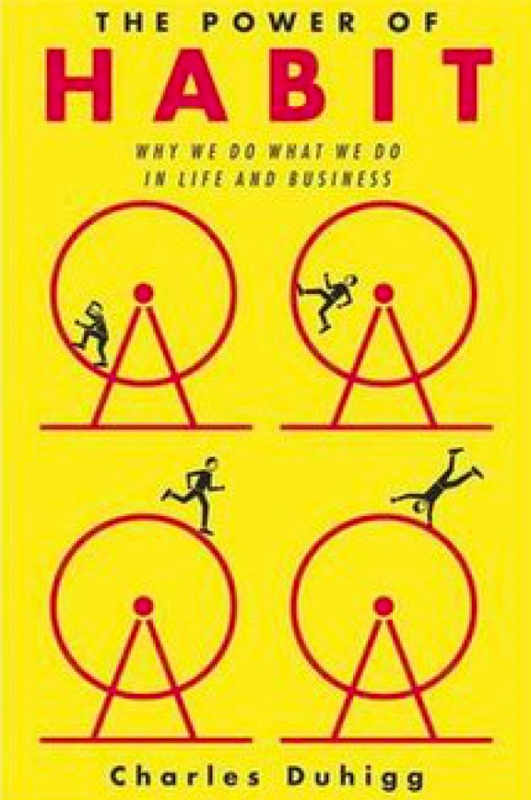 Our most recent read was Charles Duhigg's "The Power of Habit: Why We Do What We Do in Life and Business." We thought it'd be fun to share some of our favorite takeaways and insights from the book, and how it may be applied to your life and organization. The core of the book is about mastering the "Habit Loop," the distinct pattern of cues, routines, and rewards that science tells us drives our habits. While much of this happens subconsciously, the good news is that learning to observe and manipulate cues and rewards can help us change our routines. What I especially loved about the book is that it made a distinction between personal habits and those of an entire organization. This is exemplified through one of my favorite anecdotes in the book about the manufacturing company, Alcoa -- perhaps because it's easy to see the parallel in transit agencies. The story details the remarkable transformation and performance achievements that were made possible by the new CEO's focus on safety above all else. While it initially spooked board members, investors, and longtime employees, Alcoa's CEO knew that success would be achieved "because the individuals at this company have agreed to become part of something important: They've devoted themselves to creating a habit of excellence. Safety will be an indicator that we're making progress in changing our habits across the entire institution. That's how we should be judged." Safety cut across every division and required everyone's participation. It drove efficiency because having high standards for how work was completed also helped make work safer. In order to escalate issues and concerns around safety in a timely manner, it was necessary to re-tool internal communication systems so that feedback from the lowliest employee could make it to the loftiest executive. Before long, all kinds of innovative ideas were bubbling up from the ranks and making Alcoa a better overall company. Safety was a keystone habit that set in motion a multitude of small changes, made day after day, that added up to big change. Have a customer-focused mindsetthat recognizes that every person you serve is your customer and reason for being. Make a habit of referring to everyone you serve as customers, conduct customer satisfaction surveys, find out what your customers' top priorities are -- and then make sure you're delivering on them. Incentivize performancebased on organizational priorities to recognize individual, team, and organization success. This goes beyond the annual performance review process and extends to the many informal check-ins and conversations you have with your team -- individually and collectively. Review progress on key performance indicators regularly and celebrate when the team succeeds. Explicitly identify intentional habitsthat employees should follow in all key areas. You may know these as standard operating procedures or process flows. Amazingly, many organizations lack any sort of process documentation and instead rely on institutional knowledge -- how things have always been done. Every process need not be overly prescriptive butwriting them down can help employees take a step back to evaluate whether there are opportunities for improvement, reduce training time for new employees, and enhance quality and consistency of results.